In Forbidden, which I was able to obtain in audio format…..I was able to get a chance to read this author, and I was thrilled to see how much I enjoyed her. I truly enjoyed this author quite a bit, and I just wanted more with this book. The set up of the story….is unique and different, but that is what I grew to love most about it. It isn’t your average PNR read. It is thrilling, different and full of a intricate and complex world that Frank did a wonderful job in building up. I just wanted more of this world, and I can’t wait to continue in the series. The romance between Ram and Docia is just the type that I instantly gobbled up. It had a forbidden theme to it, but quite frankly, there were some twists and turns I honestly didn’t see coming and I quite loved how unpredictable the plot could be at times. It would surprise me in some ways and from beginning to end I was swept away into this world building and the way this author created a love worth fighting for!! I am glad I was able to listen to this, instead of reading it in print, because I might have become confused, because there is quite a bit of jumping around with names and other things….but the narrator was fantastic and really set the story quite well. I honestly can’t wait for the next book and see what happens in Forever. World-class entertainer and Sazi council member, Antoine Monier has taken his big cats all over the world without any trouble—until his latest trip to Stuttgart, where one of his tigers is stolen and killed. To Antoine's surprise, the German police have another tiger in custody—a tiger who is actually a lovely Turkish-American woman, Tahira Kuric. In Captive Moon, we have the continuation of the series…which takes us to tiger shifters. It is so rare to see tiger shifters and so I always soak them up….and these two authors did a fantastic job with Captive Moon. Our heroine, is being held captive while looking for her brother, our hero finds out about her predicament and saves her when he realizes that she is a shifter. They form a union of sorts, to hunt down those killing tigers, and to find her brother who is still missing and Tahira suspects he has been taken and/or killed. But she needs to find out the truth. This was quite a treasure find and once I picked it up I just couldn’t put it down once I started. These two were fire together, and they have such a great connection to one another….their chemistry isn’t one I would want to miss out on and I quite enjoyed seeing the mysteries that become unraveled and revealed to the reader. In a world where emotion can be a deadly weapon, one slight, battered runaway holds the key to a dark and twisted enigma. . . "Drink of me, " she whispers, her silver eyes trusting, pleading. What female dares speak such words to one of the Sange? His people are scorned by every race for their fierce sensuality, their fearful rituals. And as Prime, Reule is the most telepathically gifted of them all. But nothing has prepared him for the intensity of emotion radiating from the outlander rescued by his Pack. Terrified, tormented, but beautiful beyond measure, Mystique shatters his legendary control. As she reaches for him in the steamy heat of the healing baths, he knows this blind need can have but one end. . . In blood, in knowledge, in ecstasy. Praise for the Novels of Jacquelyn Frank "A lush narrative sure to please readers who have longed for new gothic and darkly romantic tales." --"Booklist" on "Gideon" "Frank's "NIGHTWALKER" series depicts an engrossing alternate world, drawn in prose that is lush and lyrical." --Linda Howard"
Drink Of Me was a book I couldn’t resist picking up. Its a stand alone…..but I was yearning for more of this author and it was available to listen to through my library!! And I just want to say that I just couldn’t listen to it fast enough. It almost saddened me to see that it was a stand alone and not part of a series….because boy this book had potential to see more. We have a story where our here, is leader of his people and his people are not welcomed by any but their own kind. They live in a remote place, away from civilization. When their enemy kidnaps one of his people, Reule goes into to get justice and get his pack member back, but he finds a woman imprisoned and rescues her. She is a woman that has no memory but knows certain things….is a healer and the more time they spend time together the more intimate they become with each other and just not on a physical level. We have drama, passion, heartbreaking moments and strength of character that is revealed to us in this memorable romance. I LOVED every moment of this one, and Frank sold me on it completely. In Ashes Of Midnight….we get the exciting continuation of the series and yummy we get Andreas Story. I have truly admired this character for the majority of the series and I love seeing how he has helped the order. This book was quite heartbreaking for me at times because Andreas is going through hell. He lost his coven….they were murdered and not just his men….but women and their children were all slaughtered. He is out for vengeance, and he has a burning hatred building inside him….a burning that may destroy him if not for the good woman he has always loved and stands by him. Claire is going through her own hell, when her mate betrays her and doesn’t seem to care if she is in danger or not. She has always loved Andreas, but he left her and never returned. Now circumstances have changed for both of them, and we see these two and their courage and love they have for each other. These two are split in moments of the book, which is understandable given the circumstances, and I loved the way they protect and stand for each other. It was quite remarkable to see and I just craved more of these two and my heart was so saddened when the book was over. This story was thrilling, passionate and full of adventure and suspense…..gimme more!!! Sutherland’s Secret is the first book in the newest series by this author and BAM this ROCKED!!! I honestly just couldn’t put this one down and I just had it so bad for this story and I LOVED everything about it. From the plot….to the characters….the historical details and everything in between. 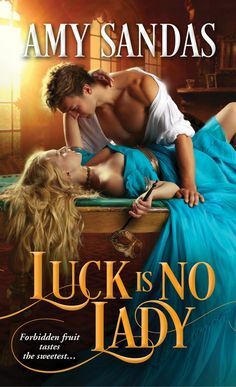 Sharon Cullen has written a masterpiece of a romance and I would recommend this to any historical romance lovers but especially those that love Diana Gabadalon, Maya Banks, and Monica McCarty. This is set in a time period that is most heart breaking for the Scots, right after the Battle that tore the country apart, and many Scots were forced to flee their own country or be killed for fighting for freedom since they were pronounced as traitors to England. We have our hero, who is going on secret missions with his men to take those Scots from safe houses to the shore to be shipped to Canada but if he is caught….he will be hanged. Our heroine he finds on the road….beaten and bruised with scars, English and can’t speak because of the tortures she endured. This was a story packed with history and desire and the power of love. We see two people stay together despite the odds that are stacked against them. The author did leave a teaser at the end so I can’t wait to see what she comes up with next. Highly Recommend! !